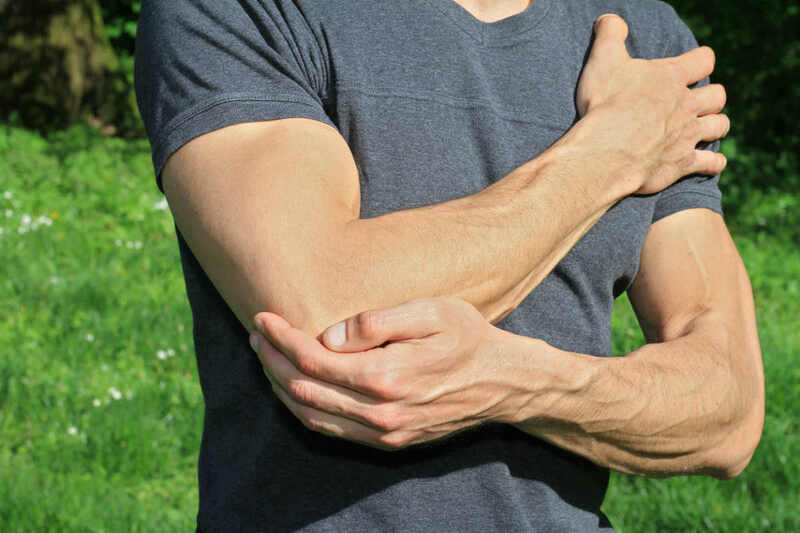 The elbow is the second most commonly dislocated joint in the body after the shoulder joint. The elbow joint is also made up of cartilage, and the ends of the three bones the radius, ulna. and humerus are all covered by articular cartilage. It acts as a lubricant and allows the end of these bones to slide and move against each other with causing any damage. The Medial Collateral Ligament (MCL): It is located on the inside half of the elbow, and connects the humerus to the ulna bone. This ligament holds the bone in its place and provides stability. The Lateral Collateral Ligament (LCL): It is located on the outside half of the elbow, and works in tandem with the MCL to connect the humerus to the ulna and provides stability. An elbow becomes dislocated when either the ulna bone or the radius bone separates from the humerus bone. The bones can separate when the ligaments holding them together get overstretched. This affects the stability of the elbow joint, and the bones fall out of alignment when the ligaments are overstretched and strained. Partial dislocation: Also known as subluxation, this occurs when the radius bone or the ulna bone partially separates from the humerus bone and the elbow joint. Complete dislocation: This occurs when the radius bone or the ulna bone completely separates from the humerus bone or elbow joint. Elbow dislocations can be treated by placing the bones back in their right place and managing the pain. The injury may take several weeks to heal, and during this period, the joint may be immobilized to prevent any further injuries to the joint. Physical therapy is also required to restore the normal function of the joint, and to regain strength. If the joint cannot be put back into its right place by conventional means, and if the ligaments and tendons are damaged, surgery may be the only treatment option. If you have suffered an elbow dislocation due to car accident trauma, you should discuss your case with a competent St. Louis auto accident attorney to understand more about your rights. Give us a call anytime, nights and weekends, at (314) 361-4242 for a free case evaluation.